Volvo still sells an angle drive made by VDO, part # 666756. 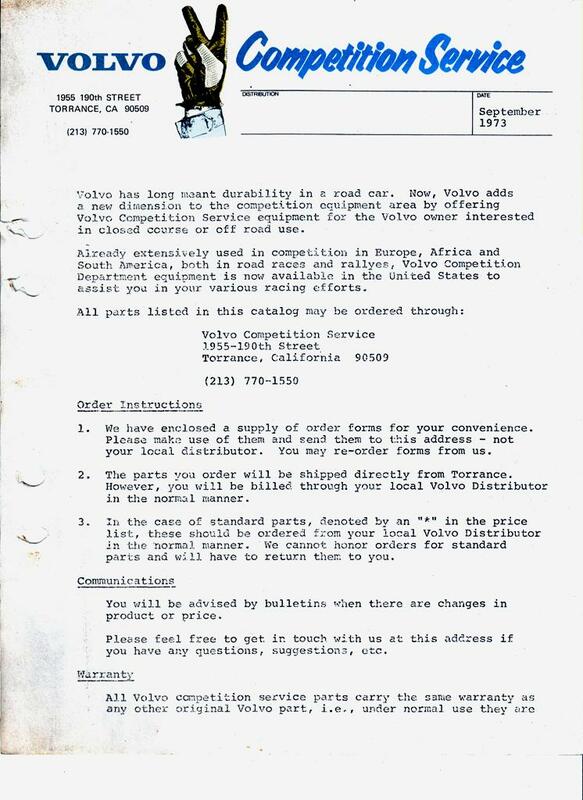 FYI, the original angle drive Volvo used to sell had a shorter connecting tube. Thanks Eric, Hope you and Ian are doing well. 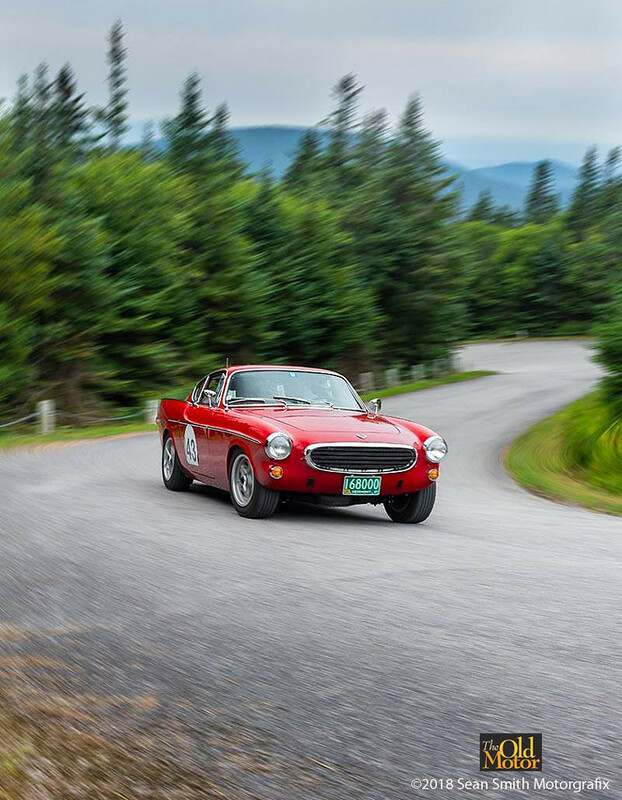 Meanwhile after a four-wheel alignment, 1150 miles of Vermont paved and gravel roads, dust, dirt, raindrops, and more than a few perished bugs later…….it was a delightful drive and most of everything is working well. It then enjoyed a good wash and wax. Last edited by vintagewrench; 06-04-2018 at 07:56 PM..
Was able to get another smaller job almost finished over the weekend. The previous owner of the 1800s had removed the original package tray and rear seat backing and replaced it with a taller one to showcase a set of speakers for an added sound system. 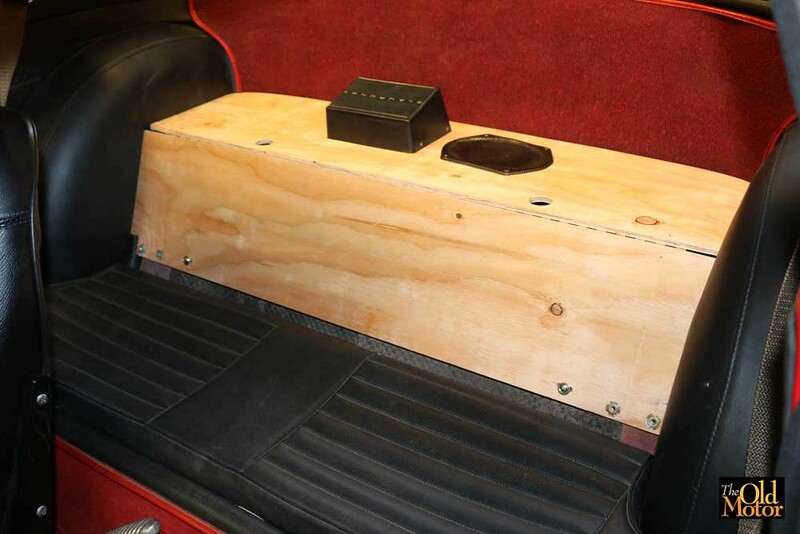 After getting the original Volvo optional AM-FM mono radio rebuilt and restored, a correct new plywood rear seat back and package tray was in order. Using the original carpet that covers this area and a scaled drawing with dimensions supplied thanks to chrsvo a member of the UK Volvo Club Forum I was able to convert the measurements into inch size and fab the two pieces out of the correct-sized 3/8" thick plywood. The photo shows it installed in place to check the fit. Two machine screws hold and locate the bottom piece in place on two brackets and on either side are four wood nuts that the folding seat back hinges attach to. The top piece is held in place by four machine screws and the chromed pieces that hold the leather luggage straps used when the seat back is down attach to a pair of brackets w/caged nuts are under this piece of wood. A few details still need finishing and at this point either a rare period Blaupunkt speaker and housing or the original Volvo speaker and the grille seen on the top will be used. The car still has all of its original carpeting is in good condition and the piece that covers this will be re-installed. Last edited by vintagewrench; 06-11-2018 at 01:36 PM..
Haven't posted for a while because of a decision to use all of my spare time to get the 1800s ready for its first competition event. All of the work over the winter and spring is now paying off. 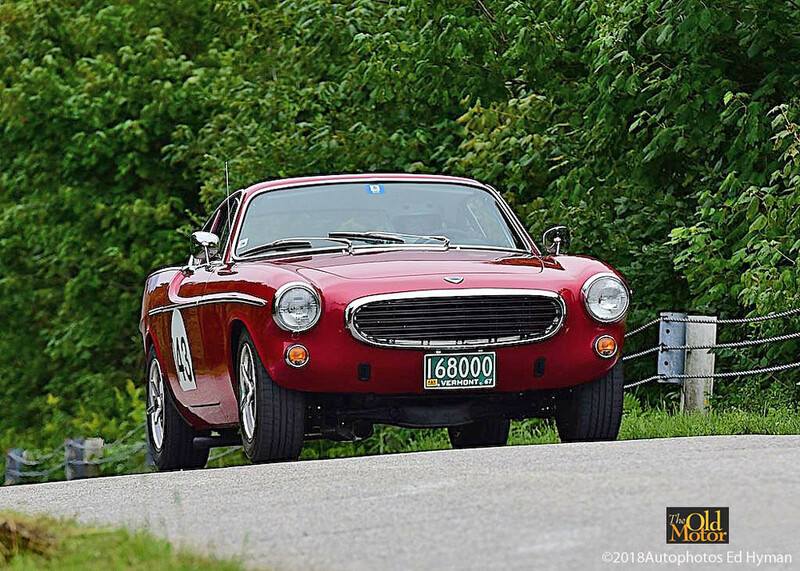 I'm a member of the Vintage Sports Car Club of America (VSCCA) https://www.vscca.org and entered and drove The Old Motor Volvo 1800s in the 2018 VSCCA Mt Equinox Hill Climb held on August 11 & 12th, 2018. Got in 11 timed runs over the weekend up the challenging access road that is 5.2 miles long, has 40 turns and 20 switchbacks, and climbs to 3140 feet over the distance. The average grade is a quite steep 12% grade and many of the switchbacks and the steeper areas are 30% and over. The car did great and was competitive with other cars of its type and was quicker than most. Last edited by vintagewrench; 09-03-2018 at 10:31 AM..
Looks like a fun event! Thanks for sharing the great photos. In the rain after it was all over before heading home. Thanks 242gt, it was fun, the photographers captured some nice shots. Some of the pre-race prep included lightning the car as much as possible which included taking out some of the interior which is easy to put back in for normal driving after the event, the following were removed: the rear seat and package tray, and the support for the bottom cushion, and the passenger seat. It all results in about a 85 lb loss of weight. The total along with the removal of the bumpers and irons previously, and the interior pieces and brake booster over 200 lbs can be removed, it costs nothing, improves performance, and results in no non-reversible modifications to the car. The brakes are working very well with the new EBS "Green Stuff" front pads so the non-original Lockheed brake booster was removed (the original came w/the car) to see how the brakes would operate without it. Was pleased to find that it stops very well without a lot of pedal pressure and resulted in a loss of around 30 more pounds. The brakes did get hot coming down Equinox in 3rd gear using them sparingly. 2nd gear was better but the rpms were at about 4500 in the steepest spots. Will wait and see how the pads do racing at Lime Rock Park later this month. As a part of operating the shop, part of my job is publishing The Old Motor (easy to Google,) a website all about pre-1966 automobiles with new content added 6-days a week, which you might enjoy. 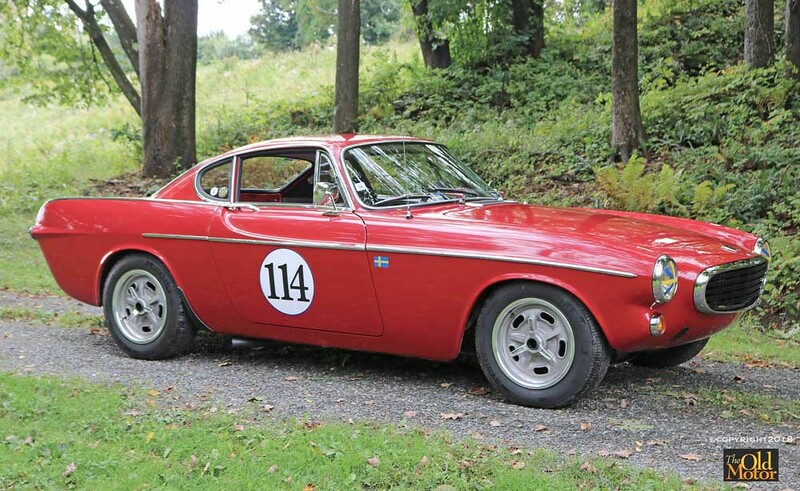 Go to the site and search for Volvo in the search box, and you can find an article written about the 1800s and the Hillclimb that contains all of the details to numerous to post here. Sorry not to include link to the post here because Google down-rates search results for websites w/links from online forms. Last edited by vintagewrench; 09-04-2018 at 06:28 PM.. Recently made up this Sport Exhaust for racing at tracks that require mufflers and for driving to and returning from the track if I don't want to load the tools, equipment, and the car into the shop trailer and tow it there. 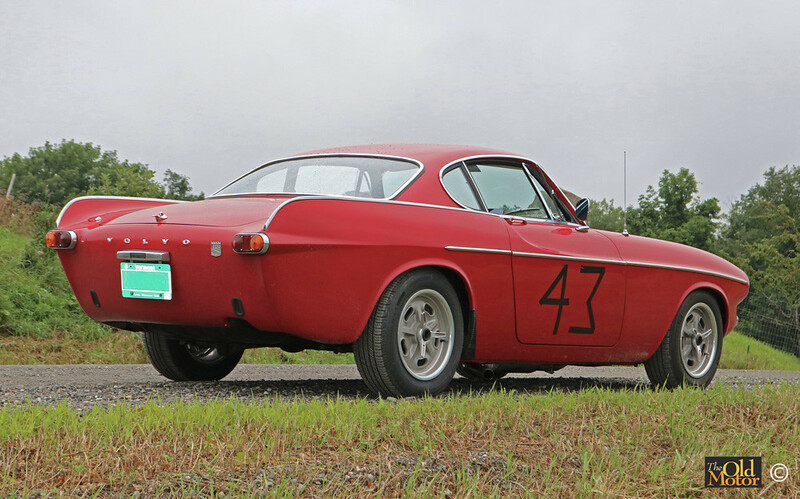 The length used was that recommended by Volvo Competition Services (VCS) to help extract the exhaust from the engine and produce more power across the RPM range. This system is LOUD if you rev it up quickly, are climbing a hill, or above 4000 rpm while driving it on the road. Planing on adding a removable baffle into the end of the pipe to quite it down a bit for road use. It adds to somewhere around five to ten HP and also eliminates about 40 pounds of weight due to using no rear pipe, muffler, clamps and hangers. Headers really are not needed as the stock 4 into 2 manifold design is excellent and VCS reports the only four more HP was made using one of its 4-2-1 headers probably at over the 6500 rpm rev limit of this engine. 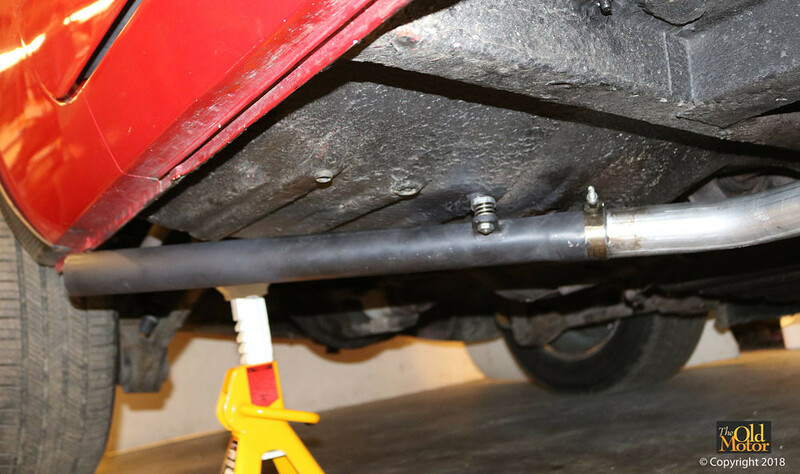 The system is made up of a larger B20 2" two-into-one front pipe that also fits the '67 B18B manifold, a VP 2" straight thru Sport Muffler with an offset center for more ground clearance, a 2" mandrel bent elbow and a straight length of 2" pipe. No modification or holes need to be drilled in the floor or frame members for a hanger. Remove one of the four white plugs in the rear right-hand side floor and the necessary hole is available. A short mild steel tab with a hole drilled and tapped in it for a 5/16" fine thread is welded to the front side of the straight length of pipe below the center of the hole in the floor. Three one-inch cupped engine water jacket core plugs were drilled to 11/16-inch in the center for clearance necessary due to exhaust system vibration. Two short medium-strength springs (heat has not affected the temper of the springs) that are used inside of the cups both above and below the floor. In this case, a stud with a lock nut at the bottom of the tab on the side of the pipe was used and a nut and lock nut or a locking nut can be used at the top above the top core plug to adjust the spring pressure. This system adds somewhere around five plus HP and also eliminates about 40-lb. 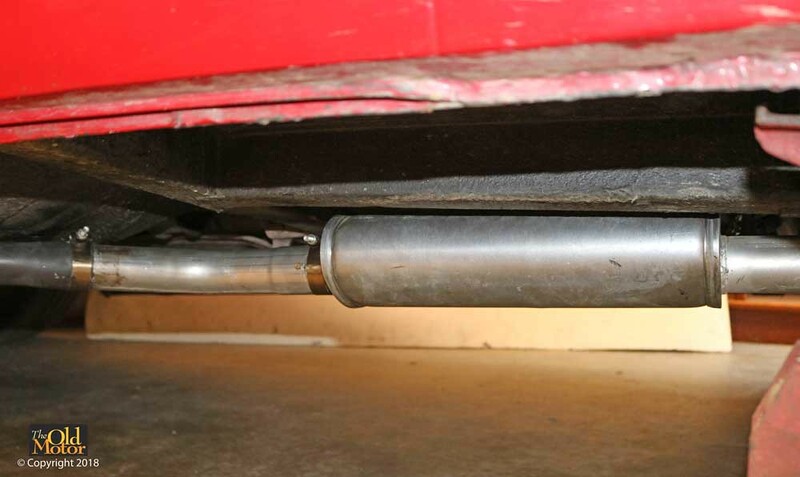 of weight due to not using the rear pipes, muffler, clamps, and hangers. 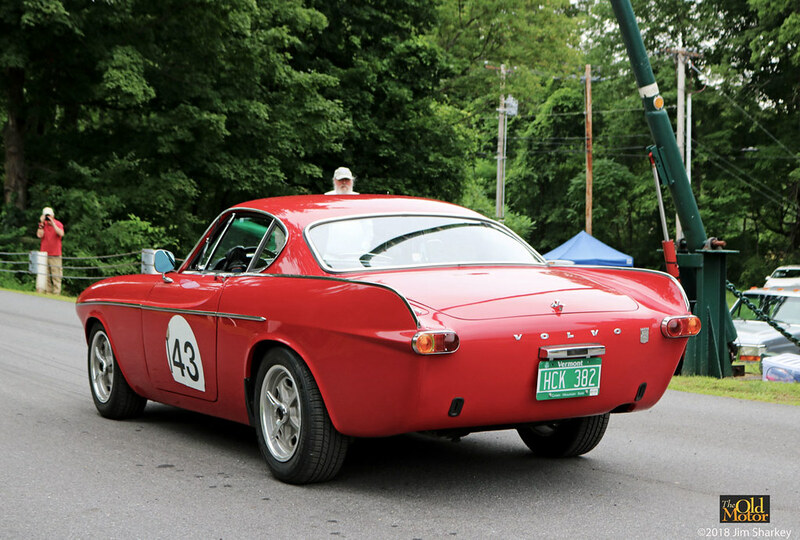 It has been driven over 1000 miles that includes 66 miles of competition at the Mt Equinox hillclimb. The increase in power is noticeable. Will weld the section of it the behind the muffler together soon, and also make up a short section of straight pipe for use on tracks that allow open exhaust. Disregard the mud on the bottom of the car, the shop is located on one of Vermont excellent packed gravel roads. Last edited by vintagewrench; 09-10-2018 at 05:17 PM.. Headed to Lime Rock Park http://limerock.com located in Lakeville, CT in the morning to run in two practice sessions on Fri. and two road races on Sat. at the VSCCA Fall Finale. 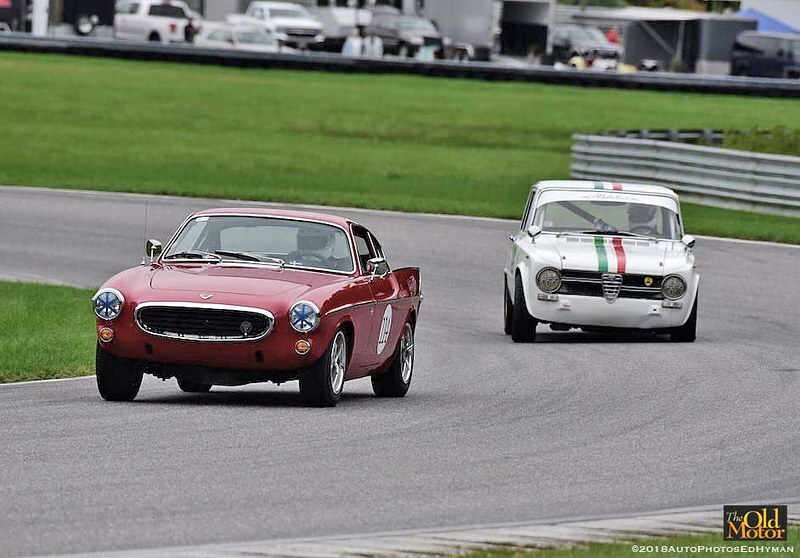 https://www.vscca.org The final event for the season is held on at one of the nicest tracks in the east which is quite challenging and also has a substantial change in evaluation. Instead of loading the car and all of the tools into the trailer and hooking up the truck, I'm doing it the old fashioned way again - driving it 300 miles round trip to the track and back home again. Will do a follow up after the races. Time to get a removable roll structure in there David! Sounds like a lot of fun; thanks for the updates! Prepared the 1800s last week and then packed up and chose once again to drive the 130 miles to Lime Rock Park on Thursday. After arriving the car passed the tech inspection, so everything was ready to go for Friday's two practice sessions and two races on Saturday. It performed very well in the two practice sessions and after starting in mid-pack in both races on Saturday was able to lap over half of the field both times before the 20 laps were over. Very pleased with the car's performance in its first races on the challenging road course. The original matching number engine is a completely stock 115 hp B18B and needs to produce more power for next season to be able to pull a 4:30 or 4:10 rear gear to allow moving farther up in the field. With the standard 4:56 ratio the rpms were at 7000, 500 over the redline at the end of the front straight at the next to the last #2 brake marker for the entry into Big Bend, the fast right-hander at the end of the front straight. The weekend was a total success, nothing broke or needed any attention, and it was driven back home another 130 miles on Saturday night. Very cool David, thanks for sharing! Really cool car. Impressive to drive there, race, and make the trip back. ^ This. 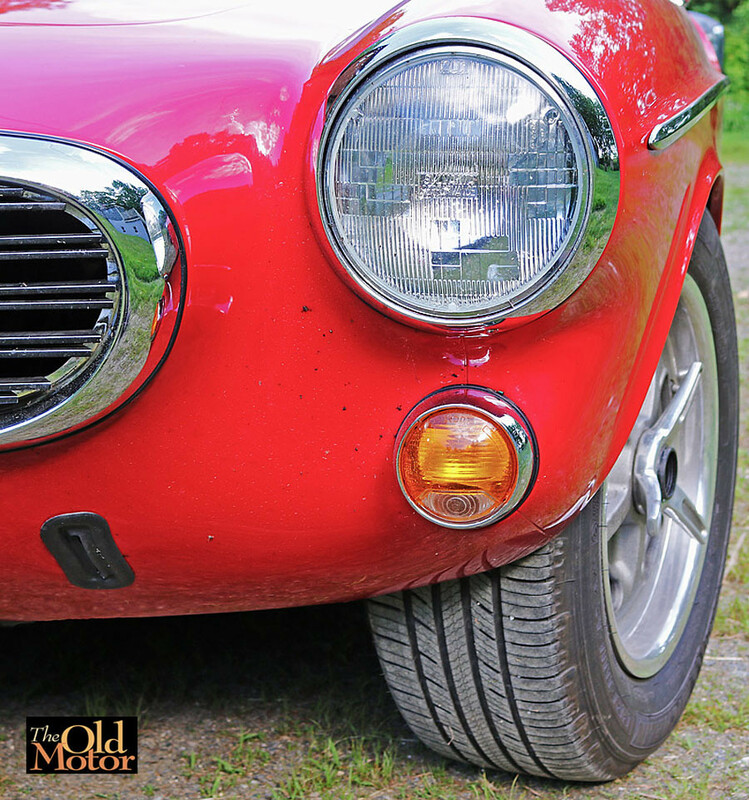 It speaks to the reliability and durability of these cars. Were you aware of the Torrance connection when you placed those stickers next to each other? Thanks, It's been a lot of work to get to this point, but it has certainly worth every minute spent so far. Althought, it is no where near the time you have in your car. What a wonderful weekend. Lime Rock Labor day races was one of our stops long ago. 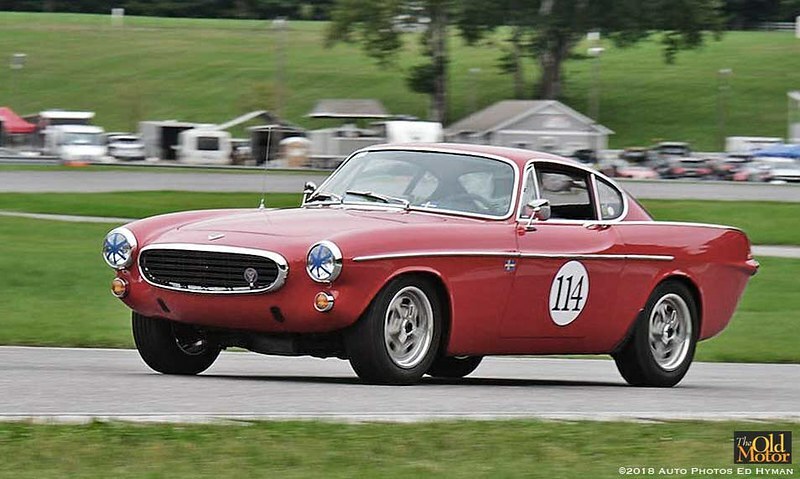 Back then the VSCCA wouldn't let anything newer than 1959 run with them. 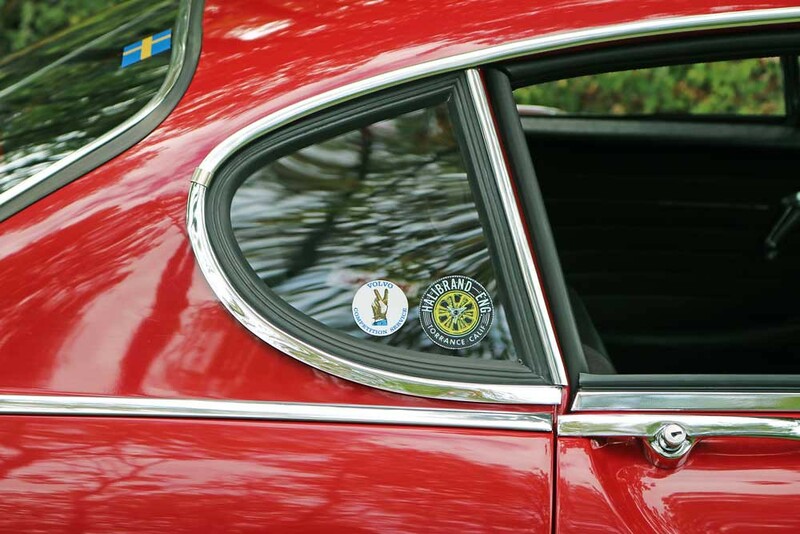 Glad to see they have updated the rules a bit and you can enjoy the Volvo with them. Thanks for sharing a fun weekend at Lime Rock! Ian, Yes, earlier Halibrand was in Culver City. The VSC sticker was dreamed up by my friend Adam Pepper and Dave Barton printed up a set of them for me a few years ago. Have you ever seen an official Competition Services decal? If one was produced could it have been like the logo and print at the top of the page you posted? No, I've never seen an actual Competition Service decal. I decided to do this at least for a while the old fashioned way. Drive it there, race, and drive it back home again. I also is a lot quicker and easier to do instead of loading it and my heavy toolbox on wheels with a winch into the trailer, tie both of them down and then checkover the truck and trailer before leaving. 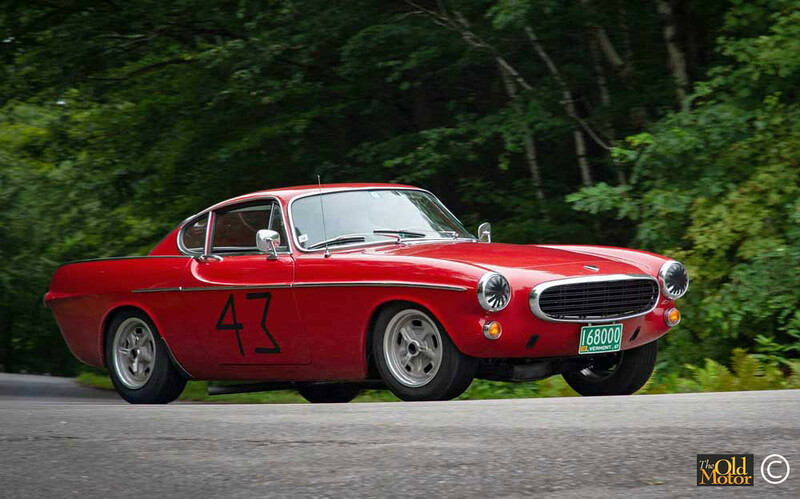 Besides it's a Volvo and we all know the early ones are tougher than nails and easy to fix. I have a good friend, who drives all his cars to the track and if they break he uses his AAA membership to get them hauled back home. That's awesome that you're driving this to the races and then competing with it. Car is looking great. And I always enjoy your photos and writeups. I'm cringing though at seeing low-back seats still in place with harnesses that can roll right off your shoulders. Any plans for a seat upgrade? 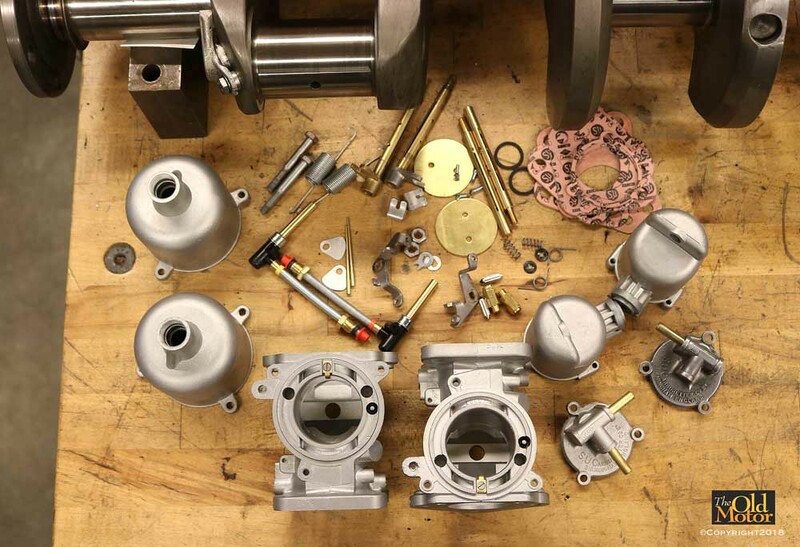 Rebuilding the original SU carbs that were installed on the car when built with the correct set of new KD needles, specified for the B18B engine. 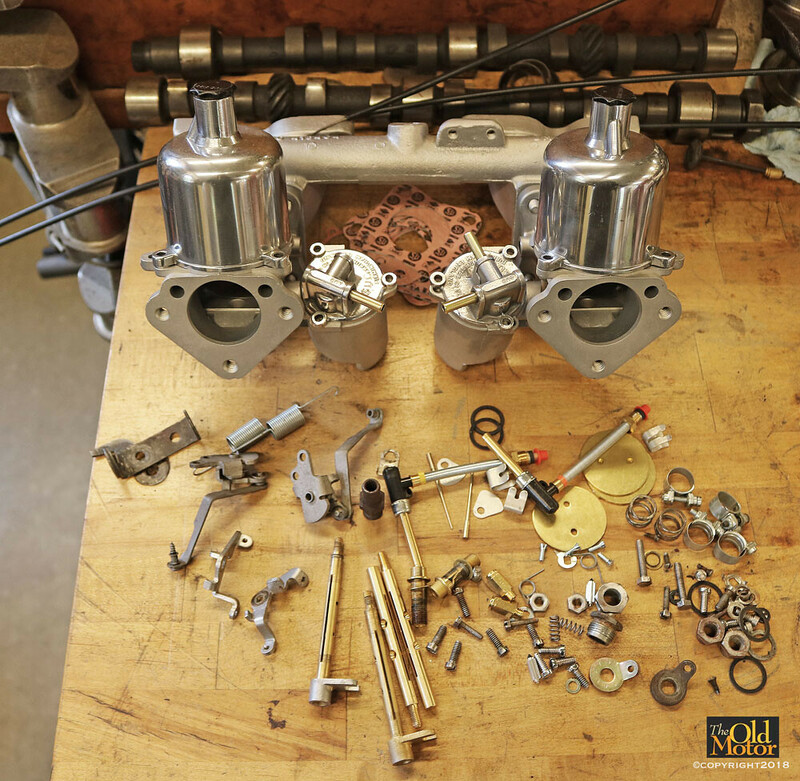 Cleaned most of the parts with an ultrasonic cleaner and then had them vapor blasted to remove all corrosion. Installed and reamed replacement throttle shaft bushings for a good fit with the new throttle shafts. After installation and tuning the baseline power level will then be recorded by carefully timing and averaging 0 to 80 mph acceleration runs. This information will prove to be useful for comparison purposes later after changing the cam and adding dual Weber 40mm DCOE carburetors on Volvo Competition Services intake manifolds. Last edited by vintagewrench; 10-06-2018 at 07:54 PM.. Thanks, I also enjoy the updates on your project. 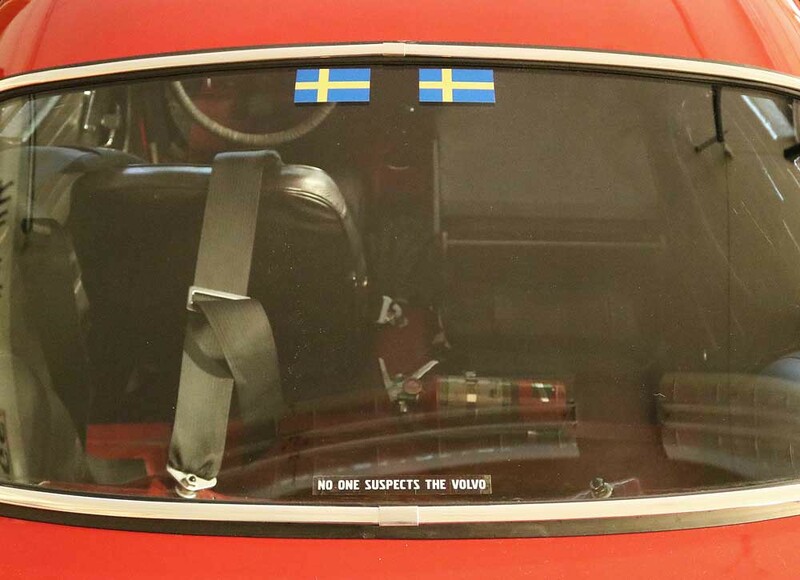 The photos were taken before the car was used this way and the belts were crisscrossed after the photo was taken. The season is over and a roll bar w/braces and a cross tube that is about 3-4" lower than my shoulders are in the works for next year and will make for a better place to tie the belts to. 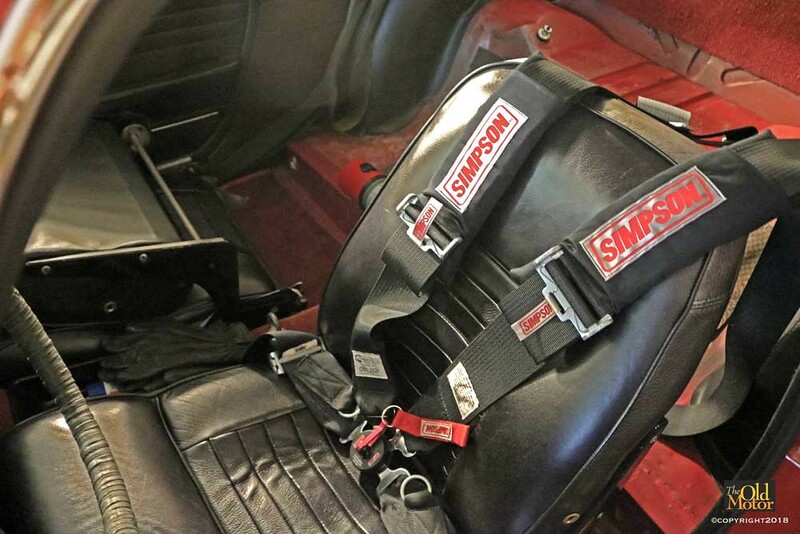 A three-way head restraint with the right type of padding will be set up on the rollbar and I presently use a Nomex covered neck collar and will be switching to a Hans Device in the future. Am also thinking about a different seat and mounting which will make using the two anti-submarine belts easier. It will also be covered with Nomex fabric. 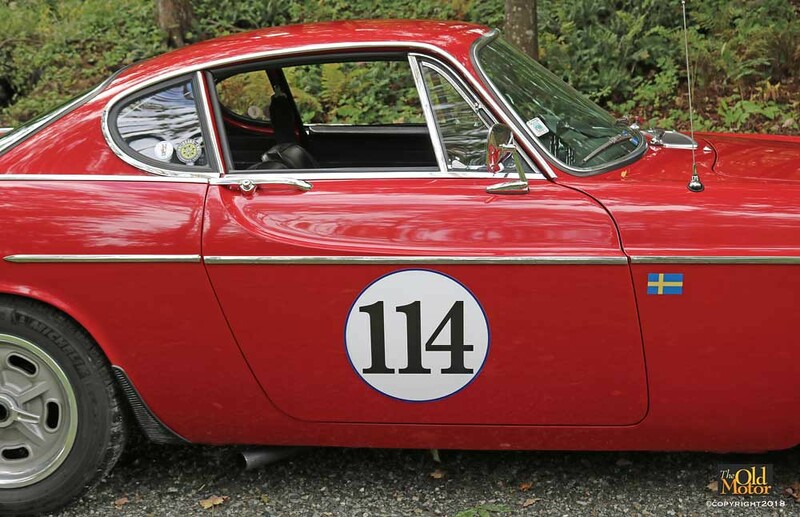 The Vintage Sports Car Club of America (VSCCA) I race with prefers members to use period type seats instead of modern racing versions. Fall is settling in and am working on the many things on the list to get the car ready for racing with the VSCCA once again next year starting in May. Designed the roll bar to meet SCCA rules so it will also by legal to use in any vintage racing sanctioning body. The belts will attach to the seat tube that is under them that is 10-degress lower than my shoulders. It is constructed of 1.750 DOM - .093 wall mild-steel tubing. Drove the 1800s to a car builder in MA that constructs chassis' for sucessful late-model stock cars and modifieds and had the main hoop bent and also got enough extra tubing to make up the diagonals and seat belt bars. Brought it all back to the shop to notch, fit and weld it all together. 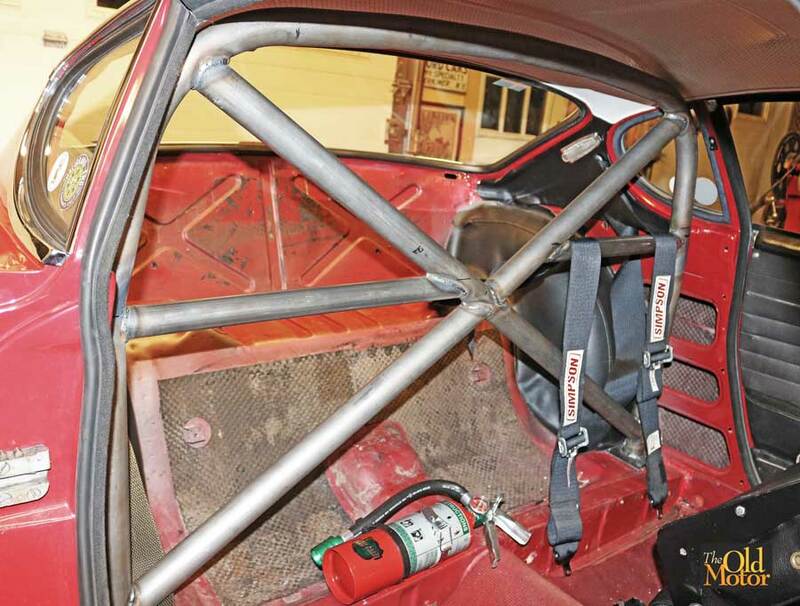 Two pairs of diagonal tubes will be added behind the roll bar bar next. Nice work on the roll bar. How are you mitering your tubes? Ever seen this guy? He does really nice work and is pretty informative on design. He does all his miters with a chop saw and 4 1/2" grinder!! Thanks, after a lot of planning the bar is coming along OK. Yes, he is a talented and very clever man! I'm also a fabricator and engine and general machinest so I do things a bit differently with what I have at hand. I use large dia. ball-ended roughing mills and multiple-tooth end mills with inserts in a large vertical milling machine w/a tilting vice and can cut an end quickly. The blade teeth in a HD vertical band saw work well for other the other shaping needed while holding the tube by hand and swinging it back and forth on the saw table, almost works like an aggressive file. Finish off by chamfering the OD of the end on a large floor pedestal mounted horizontal grinder. Can finish off a joint this way quickly. 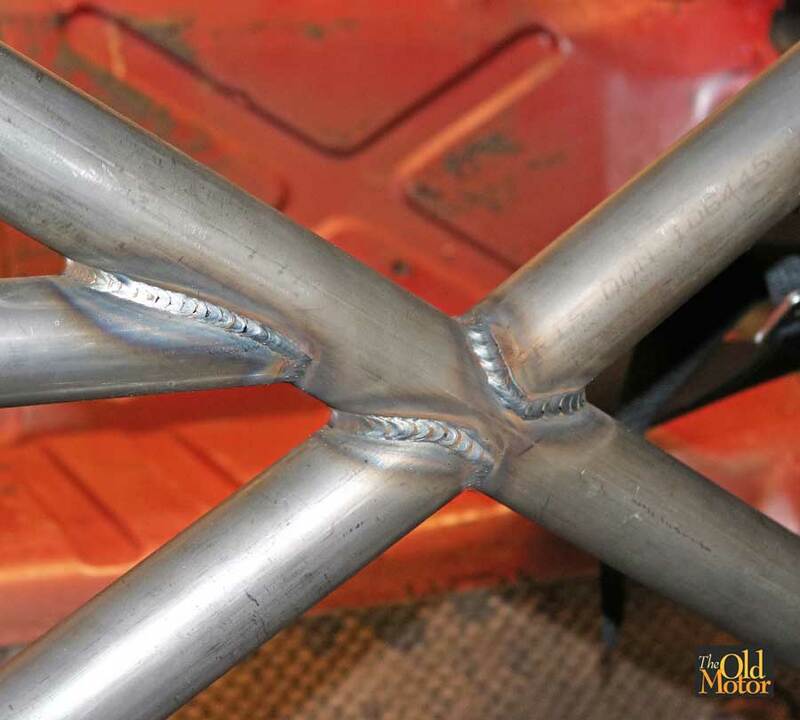 The welding is by a mig which can be done much faster with a somewhat different finished look with about the same strength as when using a heli-arc. The tubing is 1.750 DOM .093 mild steel.